I'm a gadget girl. I have always been a gadget girl. 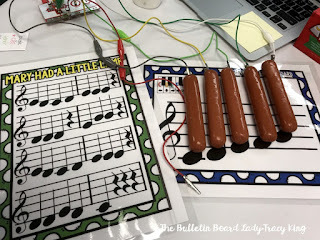 My heart leaped the first time I saw the Makey Makey in action and I knew I had to give it a try. 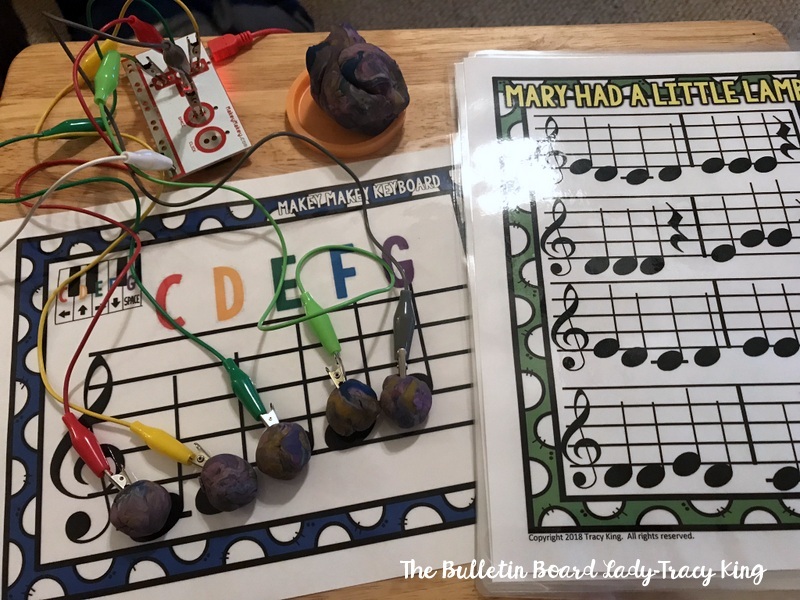 Makey Makey is an electronic invention too. It allows you to connect everyday objects to computer programs. It uses a small circuit board, alligator clips and a USB cord to connect to your computer and the objects you choose. Essentially it is creating an electric circuit and sends closed loop electrical signals to the computer. 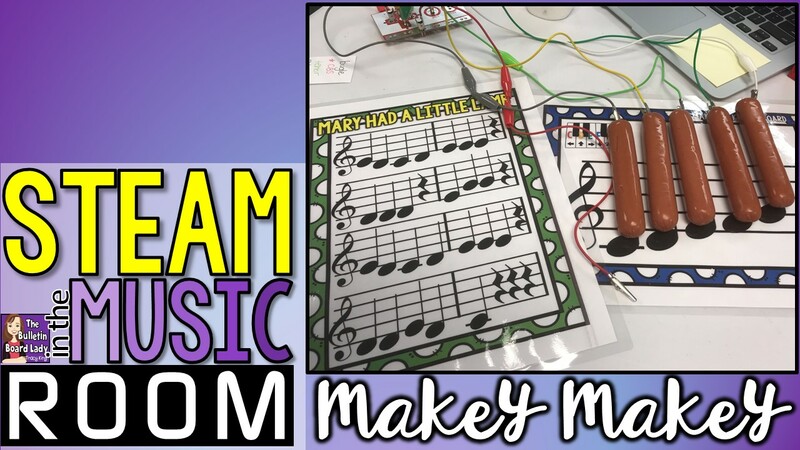 The computer responds in virtually any app because the Makey Makey uses mouse clicks and key strokes. So what, right? 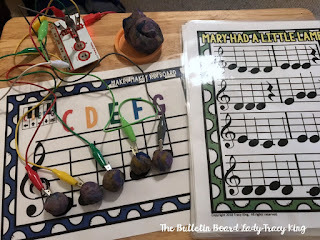 Well did I mention that it can connect to simple percussion and piano apps? 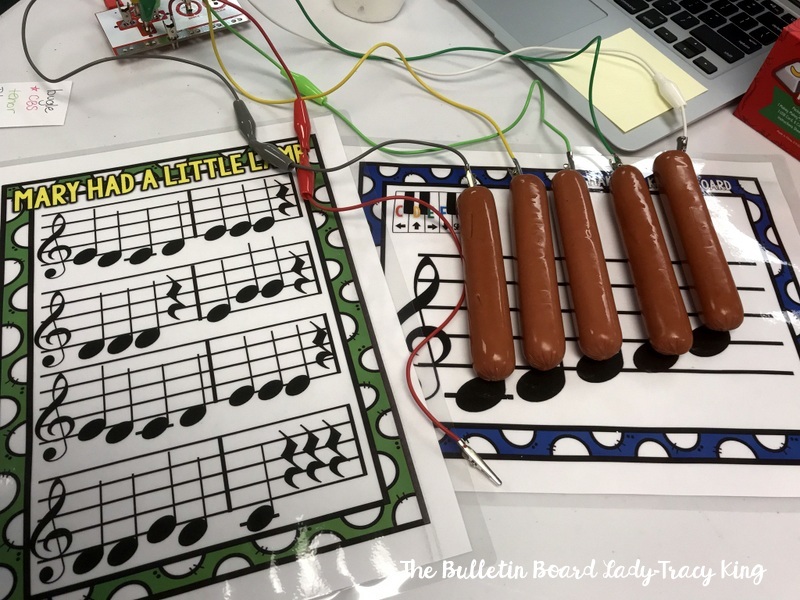 This let's you essentially play the piano on bananas, Play-Dough or even hot dogs. FUN! The Makey Makey can allow your students create new "instruments" to play with every day objects. 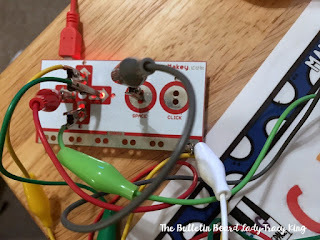 The Makey Makey comes with instructions that are ridiculously easy to follow so I won't go into a step by step. Basically you plug the USB cord into the Makey Makey and your computer. You connect yourself to earth (which is a section on the circuit board) and then you connect the circuit board to some other object. You can choose any of the arrow keys, space bar or click. When you touch the everyday object (like a banana) you complete the circuit and the computer receives the command. Actually, you can connect to much more than just those basic six. If you turn the circuit board over there are more options. I have played with this advanced option but I haven't used it with students yet. 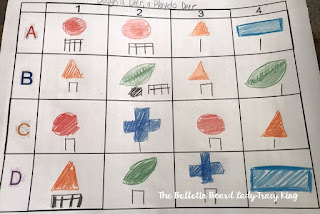 One of my struggles with STEAM lessons is that my students don't always have the tech skills that they need to complete projects like this. 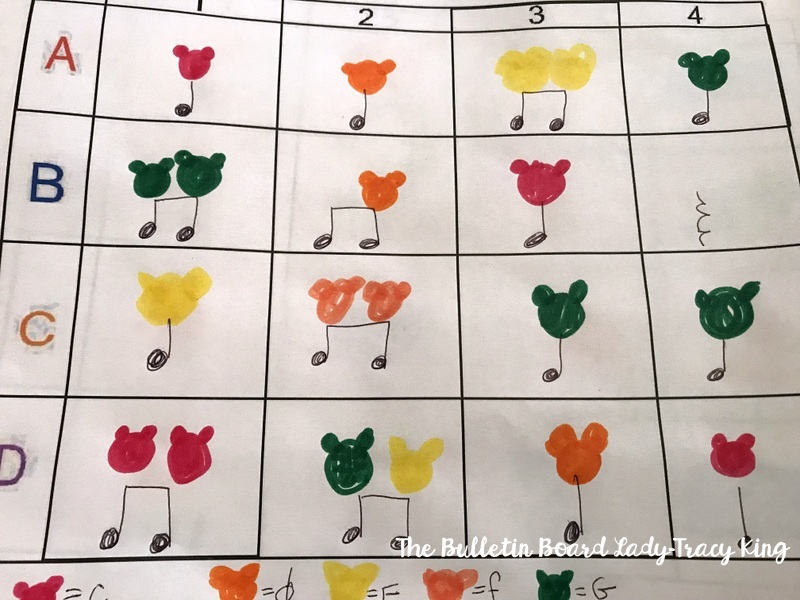 To ensure student success, I have to plan time to teach the technical skills they will need and THEN we can focus on the musical part. 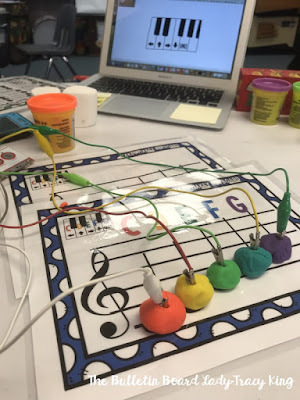 In a perfect world, students would already have experience with the Makey Makey and understand the basics of how it works. They would have experimented with different objects to see what choices conduct electricity. They don't come to my classroom with these experiences under their belt. At least, most of them don't so I take the time to teach them about the science and the technology portions of this lesson. After students are able to use the Makey Makey, the next step is to set them free! 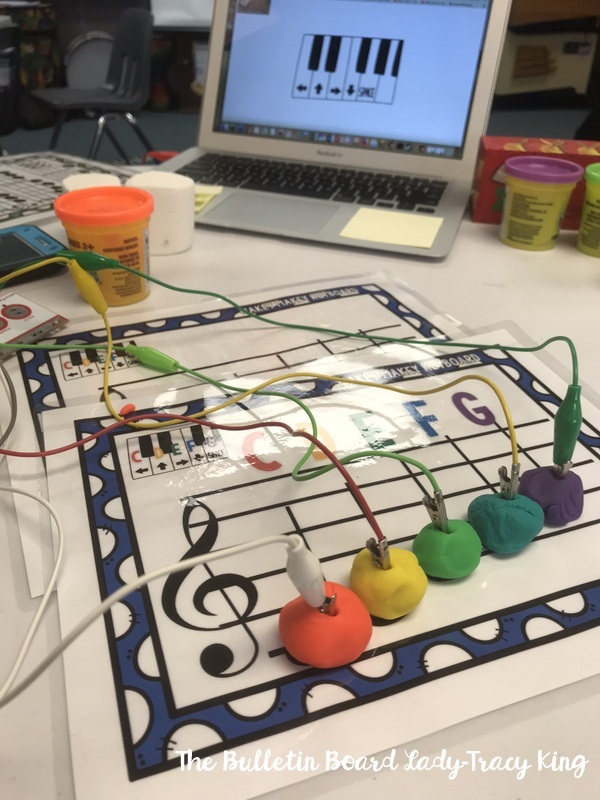 Inspire students to compose a simple melody based on the objects they have connected to the computer. 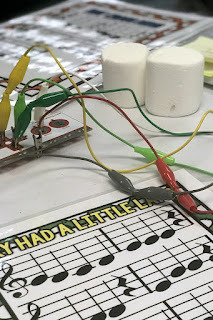 For example you might challenge students to compose a melody with the Makey Makey connected to spoons and then also create a percussive ostinato on more spoons to play with it. My students always love creating punny titles for their composition. I imagine this one might be "SPOONlight Sonata" or "The Spoon Tune". 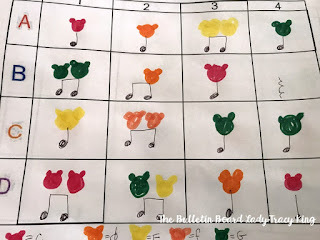 This composition was based on a Play Dough keyboard. 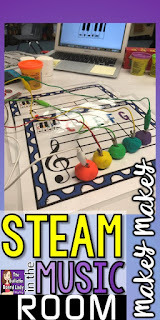 They used different colors of dough and formed them into different shapes and then connected the Makey Makey. 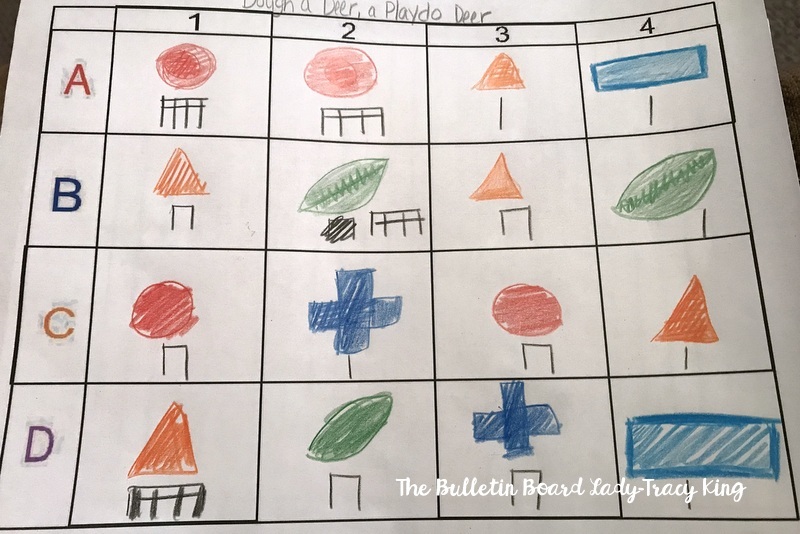 They used stick notation to indicate how many times to play each pitch. The title is "Dough a Deer, A Playdo Deer". Can you guess what this composition was played on? Gummy bears! I love that they included a key at the bottom of their composition. The set that I have for the Makey Makey in my TpT store has 3 task cards for getting the Makey Makey setup and trying it out, 3 different staff and keyboard displays (I laminate these and students set their objects on the note they will play. ), 4 simple songs and a workstation sign. You can download it HERE.